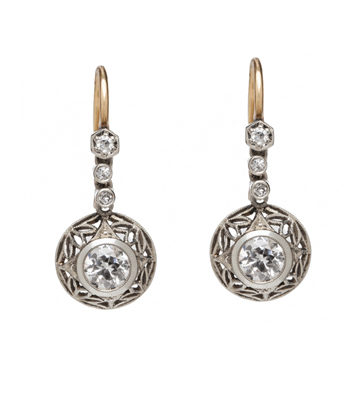 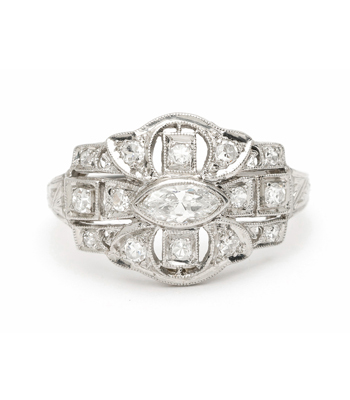 A very versatile piece, this stunning Belle Epoque diamond ring adds sparkle to any wardrobe. 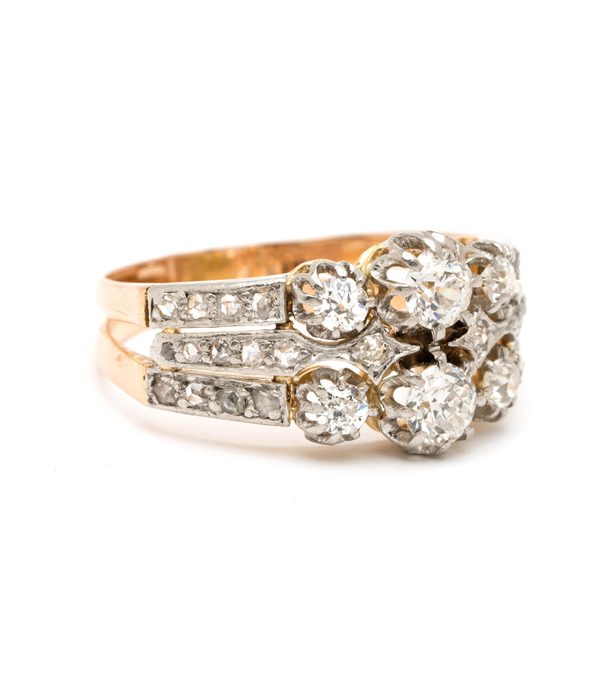 Crafted in platinum over 18K yellow gold, this antique charmer is set with tiny rose cuts half way along the shanks, and six larger Old Brilliant cut diamonds in the center. 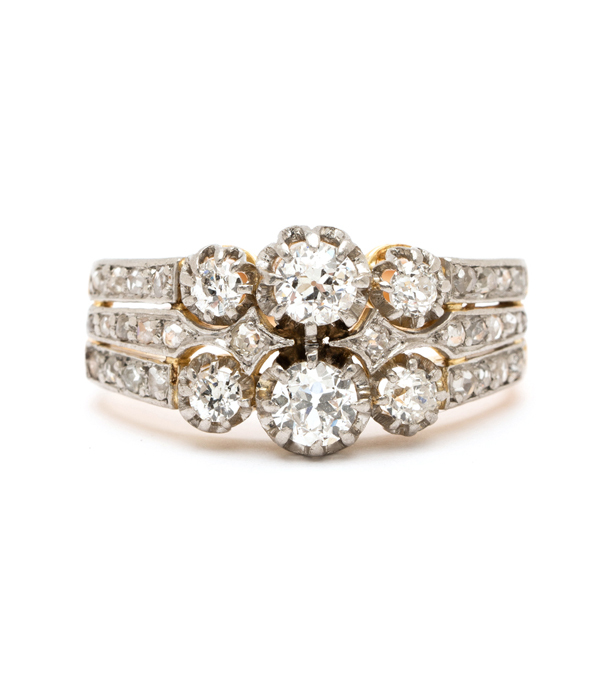 We love the idea of a wide bandeau ring as an engagement ring for those who prefer an alternative to the single stone. 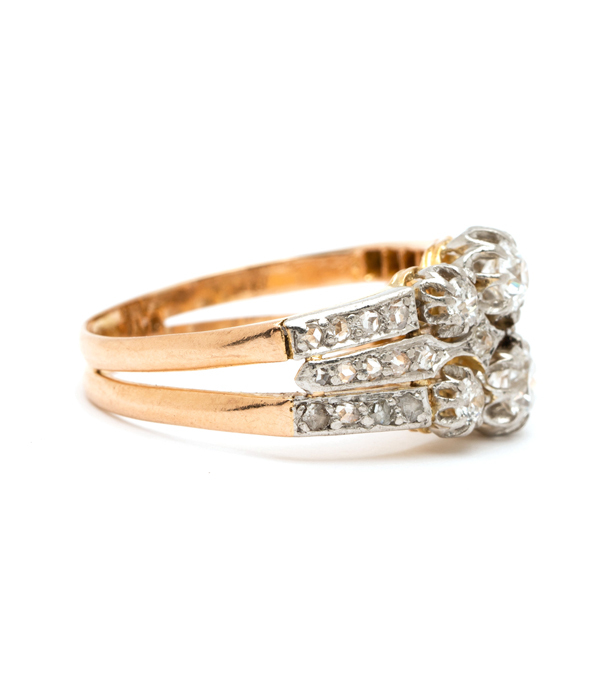 This one-of-a-kind piece would make an equally pleasing statement ring on any other finger. 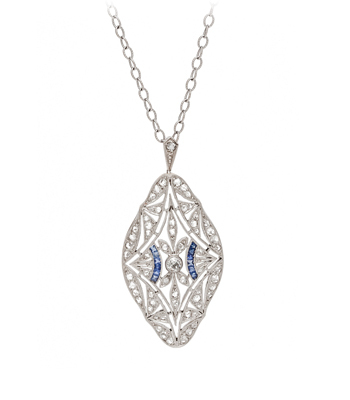 Circa 1915, French import hallmarks.